flour, and (wait for it.....) a whole penny! "They had never even thought of such a thing as having a penny. Think of having a whole penny for your very own. Think of having a cup and a cake and a stick of candy and a penny." I can only imagine what it would be like to have grown up in such tight financial circumstances, but she and her family saw joy in the small, simple things of life and chose to be happy despite their poverty. Those lessons are still as valid now as they were then. We can choose to view our lives with gratitude and find delight in a tin cup and a penny or we can envy others and miss out on being happy with what we have. Honesty, truthfulness and appreciation, gratitude for the simple pleasures and facing life's ups and downs with courage. All character traits that were important back in the late 1800's and they are still just as important today. What if we all embraced this outlook on life - imagine how pleasant our world would be! People would be satisfied with their lives, not continually striving for more and trying to keep up with the Joneses. There'd be more honesty in relationships and more resilience when life offered us a curve ball. The sense of entitlement that seems to have crept into our thinking would not exist and we would be grateful for what we have. I think what Laura felt was "real" back then is every bit as valuable today if we choose to hold onto a simpler view of life. This post was part of the #1word challenge - this week's word is "then"
Love that second quote so much and definitely still true today! me too Lisa and it is amazing that she wrote it so long ago! Thanks for sharing this Leanne. 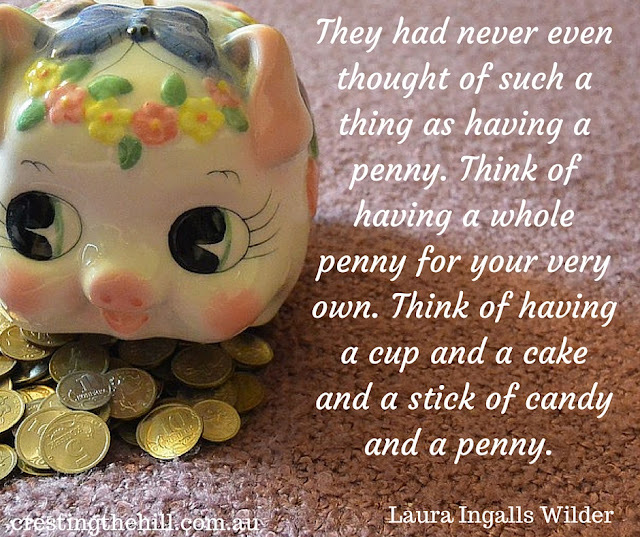 I LOVED the writing of Laura Ingalls Wilder as a child, and remember she didn't even start publishing until she was in her 60s! Now there are schools named after her! so true Laura - we have so much nowadays and we forget how little it takes to make us happy if we let it! I also remember that Christmas from the story! How wonderful to be grateful for all the small pleasures in life. This post made me smile today. :) Thanks! It is the one part of her story that has stayed in my mind too Kathleen - such gratitude for so little - we forget how spoiled we are today! 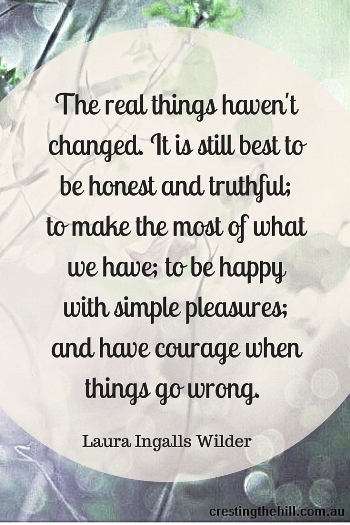 I've always loved Laura Ingalls Wilder and all her books. This is so true - we've gotten so far away from the things that are truly important. Maybe it's time for a big shift back to simpler times! I think some of us are already shifting that way Lana - I know for me, it makes a lot of sense! I'm the same Sue - watched the TV show every week but never even thought about the books. I agree that there is a shifting back to it for some of us who are tired of the hamster wheel that is today's world! Love Little House on the Prairie. Thanks for sharing today on the #JoyHopeLive linkup. me too Hope - it was such a simple time of life! I loved this Leanne. Laura Ingalls Wilder is and always been my biggest hero. I have grown up with her and still watch them once in a while and the books of course. I would have loved to have lived back then. Plus Michael Landon was so damn hot haha! He was rather cute - although I don't think I appreciated it when I was watching it on TV. She was such a strong young woman - but that was par for the course in those days - survival of the fittest! So much wisdom in the Little House books. I read them all, cover to cover - so many times! I remember comparing my gifts at Christmas to Laura's - and gaining a glimmer of understanding that it is the love behind the gift that is what is really important. I agree with a lot of this, but then I also think there is a certain satisfaction from striving for more too. There's nothing wrong with being ambitious and wanted to do the best you can, whether that's to achieve a promotion at work or just to know you've done a good job on something. I think the key is the balance of the two. Be happy with what you have but also know there's satisfaction with setting yourself goals and achieving them, wouldn't you think? 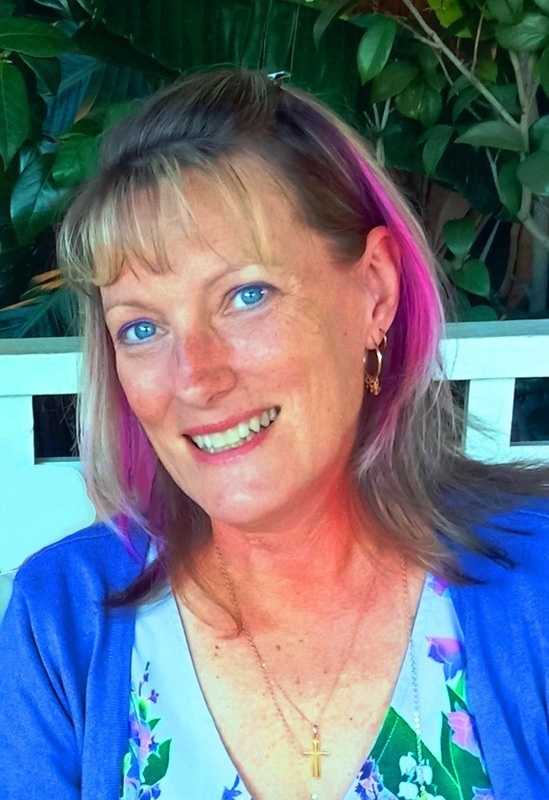 Thanks for stopping by #LifeLovingLinkie and sharing your wise-words Leanne. sometimes you need the patience of a saint! DO I HAVE THE RIGHT TO WRITE? what brings a tear to your eyes?